Consumers have always relied on the opinions of others to help make their buying decisions, but where they find those opinions has migrated online over the last decade. Increasingly, consumers are searching online to find service providers, the best products or reputable businesses. This research, of course, includes reading customer reviews from all kinds of sources, including a business’s own website, review sites (like Yelp) and large online portals dedicated to the real estate industry. Today, 85 percent of consumers use online reviews to evaluate local businesses. 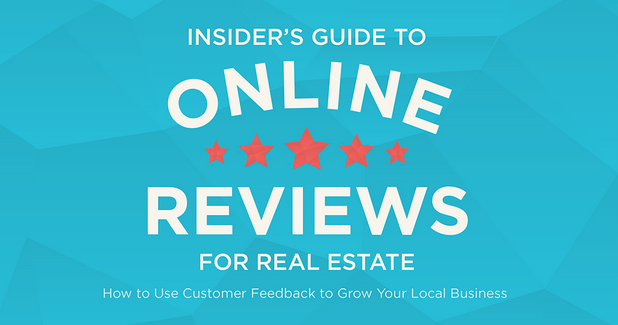 This creates a fantastic opportunity for real estate professionals, because if you’re providing great service, positive reviews of your work can be seen the world over. We recently had the opportunity to gain early access to the T3 Experts 2014 Agent Reviews and Lead Generation Survey. The findings are astounding: Not only do positive reviews help close the immediate deal at hand, but they become a highly effective word-of-mouth marketing tool. Testimonials and reviews are a crucial part of the decision-making process for your potential customers. Consumers want firsthand insight from your previous and current clients. The challenge is, if you don’t have any reviews online, you may be missing out on these customers entirely. As a real estate professional, you simply can’t afford not to have reviews online. The positive sentiments of your customers have the power to attract new business over and over again. In fact, consumers trust peer recommendations like online reviews 6.5 times more than traditional advertising. And that trust is increasing. In 2013, 73 percent of consumers trusted reviews, a whopping 15 percent increase over the year before. Whether you’re new to the online review game, already have a few reviews or are dominating your niche with online testimonials, here are some tips to help you build your review portfolio and generate leads from the work you’ve already done. 1) The best way to get online reviews is to ask. Remember, the process of writing a review is not always easy for the consumer. Figure out where you want your customers to leave reviews and make it a part of your closing process to ask for the review and point them in the right direction. 2) Provide outstanding service. This may seem like a no-brainer, but your customers are more likely to go out of their way to write an online review when they’ve experienced the glow of customer satisfaction. 3) Start with Google Plus by using Google My Business. This is crucial for SEO, local search and getting found online. Google is the dominant search engine in the United States, and your business won’t show up in Google search without a verified Google Plus business profile. 4) Get at least one review on Yelp. Yelp is important because it drives Apple’s iOS maps and business directory. It’s also the No. 1 dedicated consumer review site, so consumers expect to find you there. Remember to ask only active Yelp users to review you on Yelp, because one-time reviewers typically have their reviews blocked from view. 5) Establish a presence on Zillow and Trulia. This becomes more important if you syndicate listings or advertise on these platforms. You want the added social proof of customer reviews to show up next to your listings and in conjunction with your advertisements to increase the likelihood that consumers will choose you over the competition. 6) Use LinkedIn to bolster your personal reputation. LinkedIn is now the largest professional career platform in the U.S. and your customers most likely have a profile there. Use this as your online resume, and make sure you have a few recommendations on LinkedIn to say how wonderful you are to work with and highlight your special powers. You do have special powers, right? 7) Add reviews to realtor.com with SocialBios. These are important for agent search, as Realtor.com is the No. 3 real estate search portal for consumers. The site has one of the simplest review processes to use, and it allows users to reuse LinkedIn reviews to maximize their value on multiple platforms. 8) Do some competitive research to see which review sites present the best opportunity for you to dominate your target geography. As a rule of thumb, if the most reviewed competitor has less than 20 reviews, you should easily be able to overtake them in quantity and quality of reviews. 9) Set goals, rinse and repeat. If you don’t make this a priority, it won’t magically become one by itself. Make online reviews a part of your marketing workflow. Reviews are not a “set it and forget it” activity; otherwise you may find a competitor outranking you online. How are you using reviews to grow your business? Leave a comment below to let us know what’s working and what’s not.